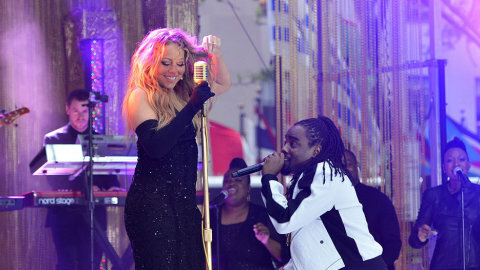 Mariah Carey kicked off the The Today Shows Summer Concert Series. The Pop Star Diva performed her 2 of her 18 #1 hits “Always Be My Baby” & “Touch My Body” then debuted a new song “You Don’t Know What to Do” feat. Wale from her upcoming album Me. I Am Mariah.. The Elusive Chanteuse due May 27, 2014.